(12/P86) TRENTON –Island Beach State Park is one of New Jersey’s most popular parks, a picturesque strand of coastline visited by a million people each year. A vast majority visit in the summer, drawn to beaches that offer a more natural experience than can be experienced anywhere in New Jersey. Yet there is an even wilder side to Island Beach – surf fishing for stripers at sunrise, intimate kayak explorations of Sedge Island on Barnegat Bay, crabbing and clamming along quiet coves, tiny shorebirds searching for morsels along the surf line, the wonders of a child learning about barrier island ecosystems from a park naturalist – much of which can be enjoyed all summer long, or long after the crowds have gone. 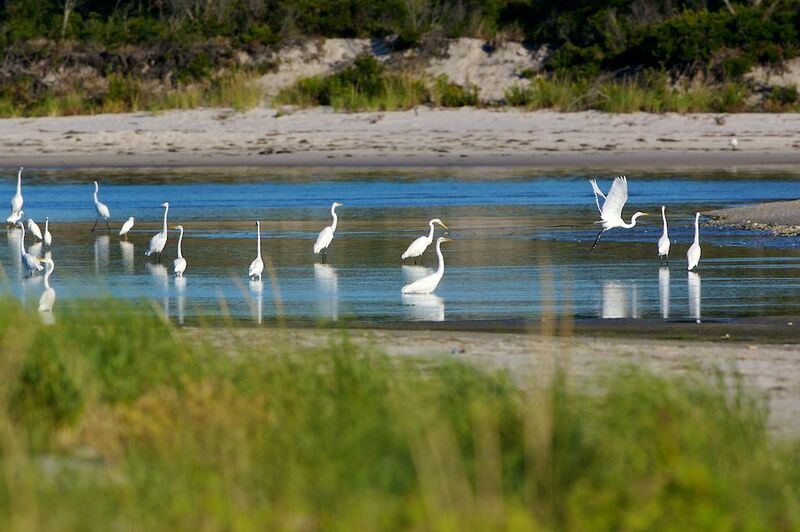 Stretching for nearly ten miles of Ocean County, the 3,000-acre park protects the last significant stretch of undeveloped barrier island ecosystem in the state, the sandy necklace of New Jersey’s park system. The island’s dunes remain virtually untouched since the first written accounts of New Jersey’s coast were penned during the voyage of Henry Hudson’s “Half Moon” in 1609. The Christie Administration recognizes the importance of keeping New Jersey’s parks such as Island Beach State Park open, affordable and even more accessible, last year launching a long-term strategy for keeping parks sustainable for future generations by improving visitor services, amenities and activities. A key part of this effort is bolstering partnerships to make the park experience even better. Island Beach is serving as a model in this effort, strengthening partnerships with the Friends of Island Beach State Park and the Conserve Wildlife Foundation to present programs that entertain, educate, and deepen appreciation for the park. 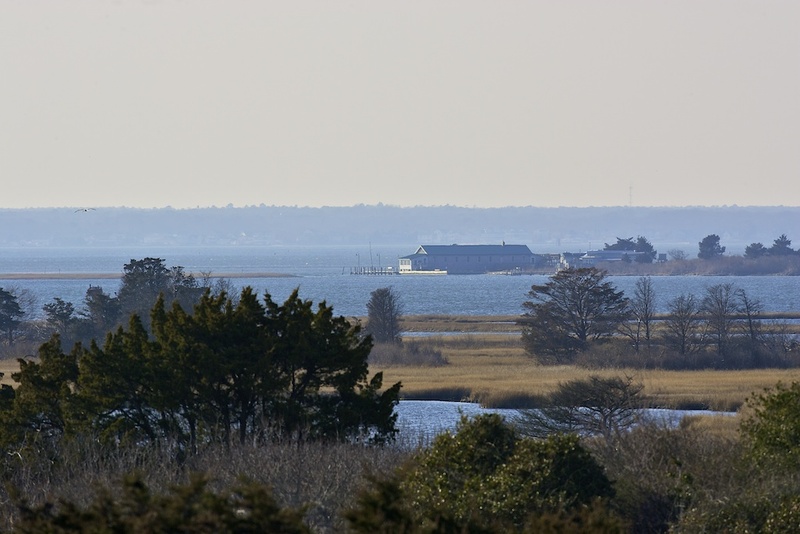 The Forked River Interpretive Center seven miles from the park entrance in South Seaside Park, and the newly renovated Nature Center near the southern end of the park serve as educational hubs for visitors. The park officially opened in 1959, largely from land purchased from Henry C. Phipps, a partner of industrialist Andrew Carnegie. The state wanted to preserve an area of the rapidly developing shore for swimming, hiking and fishing. Now a peninsula, the area that was Island Beach was once cut off by an inlet, believed to have been located in the area of present-day Ortley Beach. The inlet was closed off by the natural drifting of sand in the early 1800s. 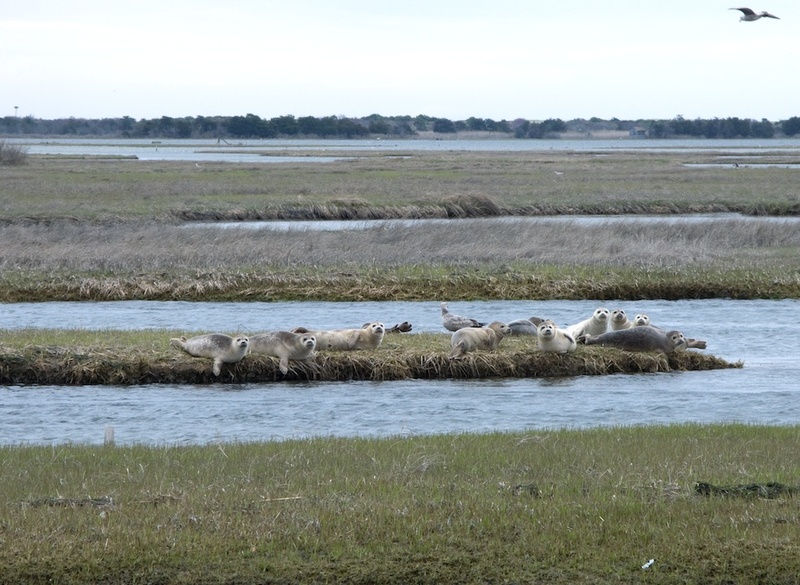 The Forked River Interpretive Center allows visitors to probe the geology of the island, the natural forces that create dunes, the park’s plants and animals, and the lives of the Lenape who inhabited the island before the arrival of Europeans. An in-house herbarium contains a well-organized collection of nearly 400 plants found on the island. The Nature Center contains multiple exhibits on the Barnegat Bay watershed, shells and various animals found around the park. One of the several self-guided trails on the island, the Johnny Allen’s Cove Trail, starts near the center and provides and introduction the park’s varied ecosystems. The Spizzle Creek Bird Blind Trail gives visitors the chance to see ospreys or wading birds from a bird blind. Many of the parks managed by the New Jersey State Park Service are locally very popular. Hidden Gems of the State Park System is an occasional series introducing these parks to the rest of New Jersey by spotlighting recreational activities, people and natural resources that make them special. 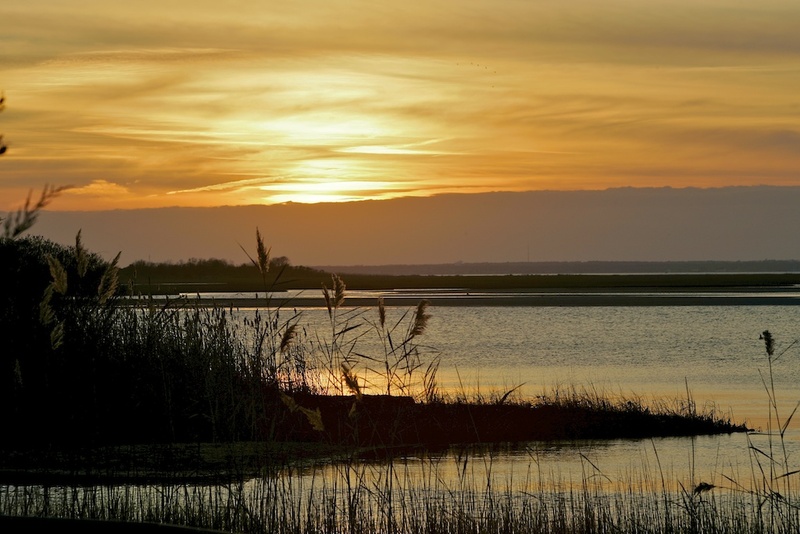 History lovers can take the Time-Travel Trail hike, which offers glimpses of the past on a walk to the site of the Reed’s Hotel, fancied by 19th century sportsmen hunting waterfowl on Barnegat Bay. 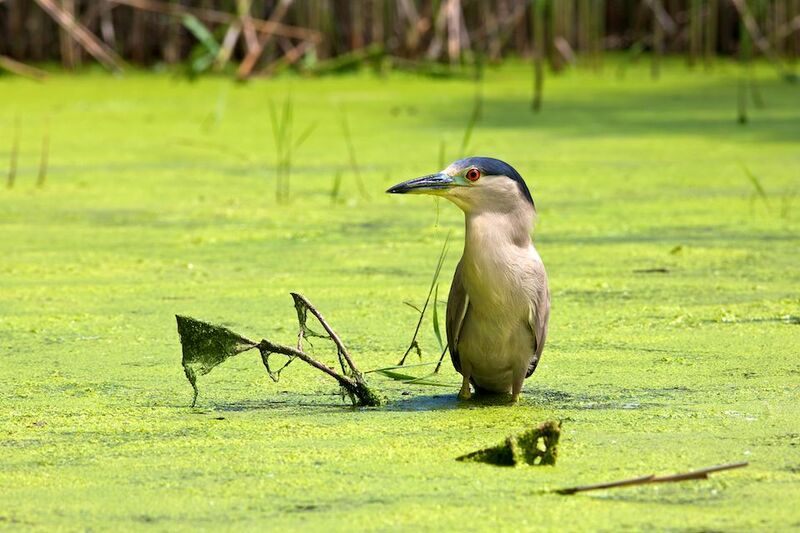 On Island Eco-Hikes you may see countless fiddler crabs burrowing into marsh mud or perhaps catch a glimpse of diamondback terrapins (New Jersey’s only saltmarsh turtle), a fox, or even seals basking on marshy hummocks. Sunset and full moon hikes are also available. For those who like to learn but not stray too far from the bathing beaches, opportunities start right at the pavilion at Ocean Swimming Area 1. There you can meet “The Amazing Horseshoe Crab,” learn about the food chain in Barnegat Bay, or discover the creatures who share the beach with people. All of these programs are free with admission to the park. Fishing has been popular on Island Beach, long before it was a park. Stripers, fluke, bluefish, kingfish, and blackfish are just some of the species that can be hooked, depending on the season. Access for people with disabilities is available. “There is also great crabbing and clamming in the shallow bayside waters at the southern end of the park,” Bukowski said. “We have the environmental group ReClam the Bay to thank for improving the quality of the clamming at the park through their tremendous volunteer efforts, another example of strong partnerships in our parks. Place cursor over images below to view larger image. Click on image to open in full size. Park naturalists also lead kayak tours. The Sedge Island Kayak Tour is a particularly peaceful paddle, during which you’ll learn about clamming, oyster harvesting, salt hay farming and other traditional bay pursuits. You may even get a glimpse of Babe Ruth’s favorite duck-hunting spot. Reservations for kayak tours are recommended during summer peak periods by calling the park office. Many kayakers also bring their own boat or rent one from a concessionaire to explore the stunning Sedge Island Marine Conservation Zone. Located at the southwestern tip of the park, this an area of swaying marsh grasses, wading herons and soaring ospreys framed by wide-open skies and the sparkling bay. For the kids, the park’s WILDCHILD programs offer age-appropriate activities including stories, crafts, wildlife and fishing. Directions: From north or south, take the Garden State Parkway to Exit 82 for Route 37 east, then continue to Route 35 south to the park entrance. Park office: (732) 793-0506; website. To learn more about New Jersey’s park sustainability plan, click here. NJ Parks and Forests is now on Facebook!